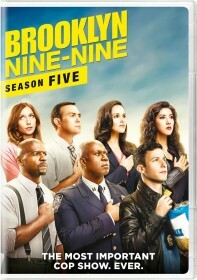 You are viewing a list of Craig Robinson's 6 appearances on Brooklyn Nine-Nine. When Jake and Rosa catch the Pontiac Bandit, Doug Judy, who betrayed them on a previous case, he bargains for a plea deal by promising to turn in a top "Giggle Pig" supplier. Meanwhile, Gina and Boyle worry their parents are getting to close, while Amy ignores the Captain's wishes and makes him a unique Christmas gift.